If you didn’t know what asian handicap betting was, it is a type of betting that takes place on football when teams are handicapped in relation to form. This means a stronger team needs to win by more goals in order for the betting punter to win. The system was first developed in Indonesia and has become very popular over time. It is like spread betting. Typically, the handicaps may range from a one-quarter of a goal to many goals. The increments can be a half or sometimes quarter-goals. What is most important is that betting in Asian handicap decreases the possible outcomes from 3 found in normal 1x2 wagering to 2 by getting rid of the outcome of a draw. This asian handicap odds offer 2 betting possibilities, with each one having almost 50 percent possible chance of succeeding. Asian handicaps can be either good or bad for the bookmaker. 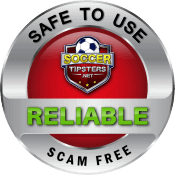 They could help the bookmaker to reduce the risk by allowing trading with some parity or by balancing the amount waged on either side of each match. This allows the bookmaker to take bigger positions on any major match. Also the Asian handicap market has lower margins that it offers which do not contribute as much to any gross win like other, higher betting choices such as 1x2. Football is one of a few sports played throughout the world in which it’s pretty common for a tie to take place. With fixed asian handicap odds, ties are treated as one of the outcomes to a game. Put simply bettors always lose if they place a bet on either of the teams to win and in the end there’s a tie. In asian handicaps tips the chance of forecasting a tie is not possible because a handicap is used that will force one winner. This brings about a situation where all teams have a 50-50 possibility of winning. This resembles the odds found in the games of basketball and football spread handicaps. Asian handicap betting creates a betting environment that’s more level between two competing teams that are not a good match by imposing a "handicap" which is expressed through the use of points or goals given to the teams well before the start of a match in a score deficit is handed to the team which will likely win or considered to be the favourite while a team which has less chance of winning is offered a head start. The aim of a bookmaker is to provide a handicap that will ensure the possibility of one or other team winning which is as close to 50 percent as is possible. Since the asian handicap odds are so close to 50 percent bookmakers will offer payouts which are close to even money, or 1.90 to 2.00.